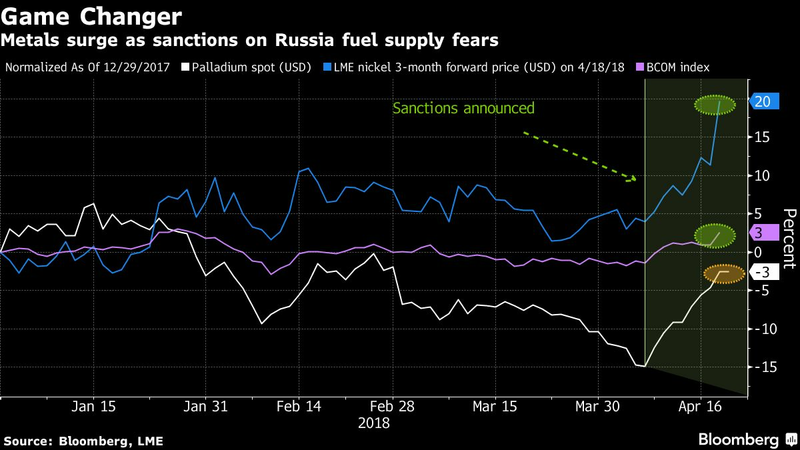 (Bloomberg) — The turmoil unleashed by U.S. sanctions against United Co. Rusal kept reverberating through metals markets, sending aluminum and nickel to multi-year highs. Commodities markets have been rocked for the past two weeks by the clampdown on Russia’s Rusal, the largest aluminum supplier outside China, setting off a rush for alternative supplies and stirring concern that further U.S. action could affect other markets like nickel. 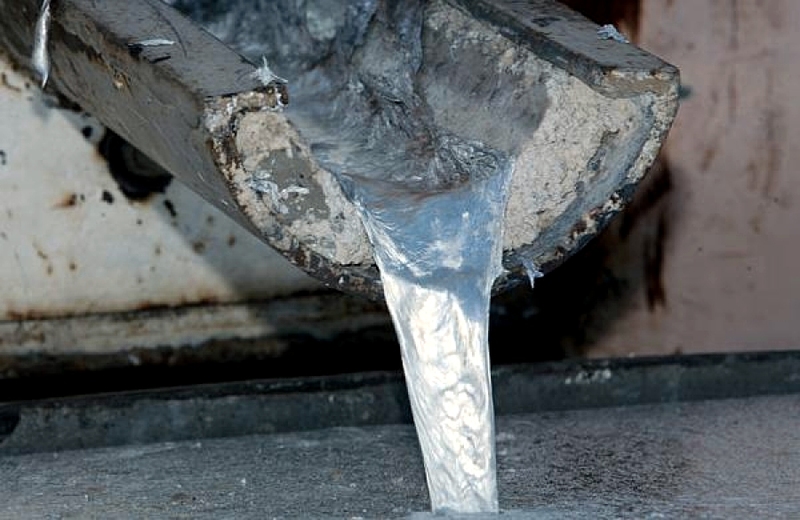 Aluminum rallied as much as 7.1 percent, a record intraday gain, to $2,718 a ton in London. Since the start of April, prices are up more than 30 percent. Nickel surged to a three-year high as traders speculated that other major mining companies could face the ire of U.S. officials. Prices climbed as much as 9.3 percent to $16,690 a ton on Thursday, before paring gains to 3.3 percent. The U.S. sanctions are upending the global supply chain for aluminum, which is used in planes made by Boeing Co. and Ford Motor Co. trucks. Rusal is the world’s biggest producer outside China, supplying about 6 percent of the world’s aluminum. It operates mines, smelters and refineries across the world from Ireland to Jamaica. according to Vantage Capital Markets’ Wildie. Rusal officials met Chinese companies and traders this week to discuss the possibility of selling output in the Asian country, while buying alumina, according to people with knowledge of the talks.